I have to say, I love connectivity! When I traveled to Honduras in 2011 we were off the grid. In Albania in 2009 the internet was shotty and I didn’t yet have a smartphone. 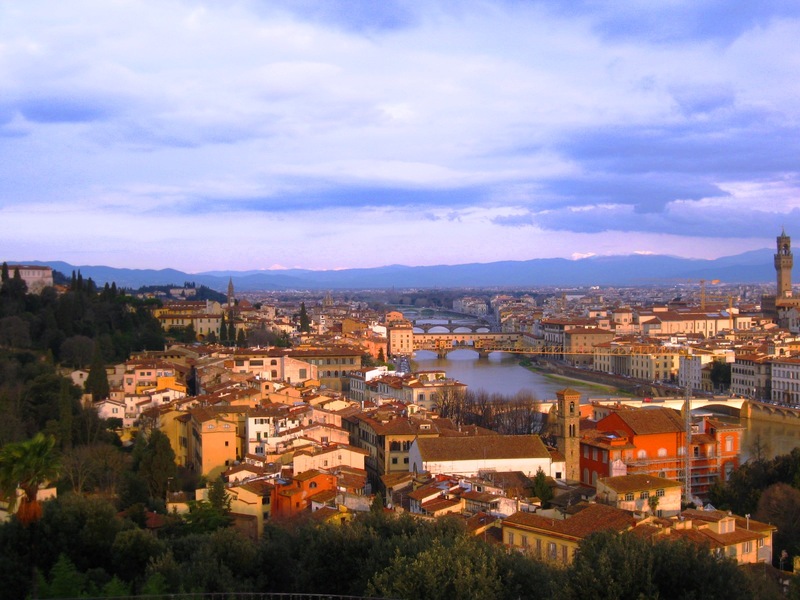 I am in Florence now and all tuned in, wi-fi, internet – I guess this is the way the world rolls, but it is new to me. Yesterday I got in around one and met up with Lauren. We strolled the city, ate paninis, gelato, drank cafe dople and caught up. I made it back to my room early and met my roomate, Kotaro, from Japan. Jet lag whooped me and I was in bed by nine. I’m usually a champ at sleeping in, but this morning I was wide eyed and bushy tailed at 5am. I sat awake for a while when I ultimately decided to attempt to quietly fumble through my things, as not to wake my two roomates. It was dark when I left the Hotel Paola. Apparently, Italians sleep in. The streets were quiet. It was awesome. I walked for about three hours and ended my morning stroll in cafe that served American breakfast. Word to the wise – when you are in a country where everyone eats croissants for breakfast, don’t eat eggs and bacon! Killed my stomach. Met up with Lauren at ten and then went back to her flat and napped a bit. There are three beds in my room. Kotaro is visiting Pisa today and a new roommate, Fred from France, just arrived. He is here on a long weekend. I’m back at Hotel Paola now and resting a bit. Tonight Lauren and I are off to see Mumford & Sons. I am expecting quite an epic evening!